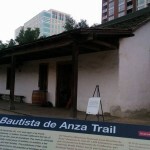 Apache Indian Manuel Gonzalez built what is now referred to as the ‘Peralta Adobe’ in 1797, after arriving with the Juan Bautista de Anza expedition. 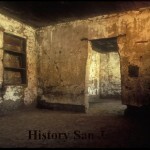 One of the original settlers of San José, Gonzalez was appointed magistrate or alcalde of El Pueblo de San José de Guadalupe in 1785. 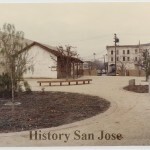 Gonzalez chose the north-west corner of the new pueblo to build the Adobe for his family, where it remains to this day — a focal point of San Pedro Square Market in downtown San Jose. 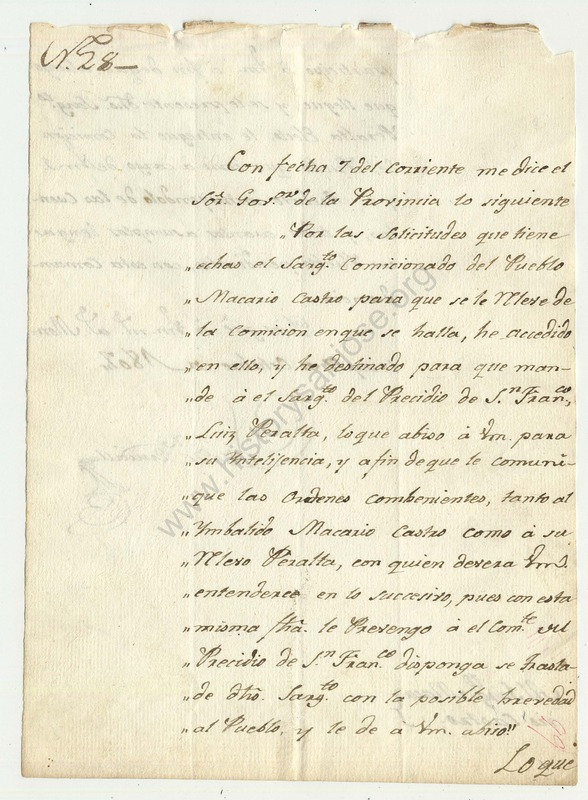 Gonzales was married first to Micaela, who died in 1780; he then married María Gertrudis Acebes in 1784. Gonzales’ five children were Ana María, Juan José, María Gregoria, Ramón Rosalino (Died aged 12), José Francisco Faustino, Romualdo and María Antonia. 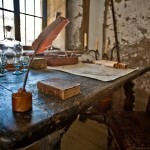 Gonzalez died in his Adobe in 1804. María Teodora, 1786-1850. 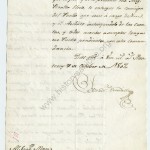 Married Mariano Duarte in 1810. María Trinidad, 1789-1872. 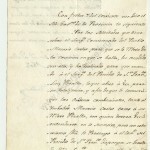 Married Mariano de la Cruz Castro in 1810. Hermengildo Ignacio, 1791-1874. Married Rafaela Sanchez. José Domingo, 1795-1865. Married Paulina Pacheco; after her death married María Garcia. José Vicente, 1812-1871. 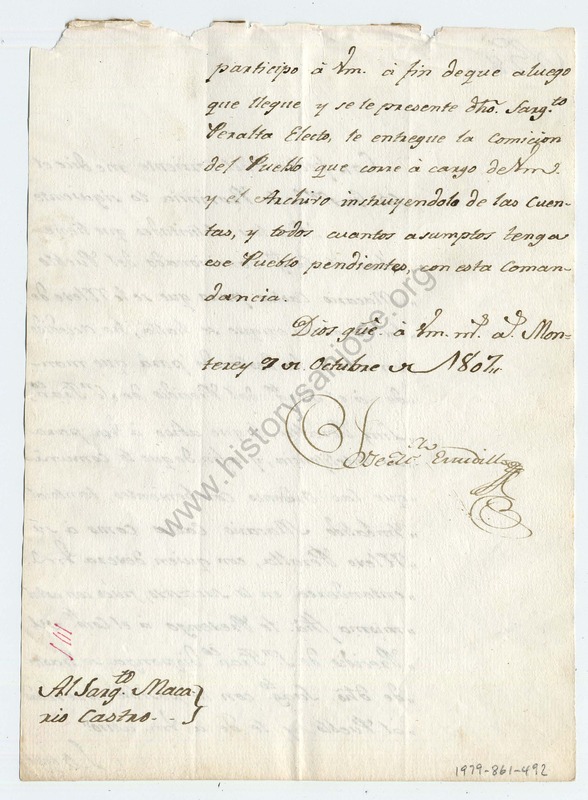 Married Encarnación Galindo in 1834. 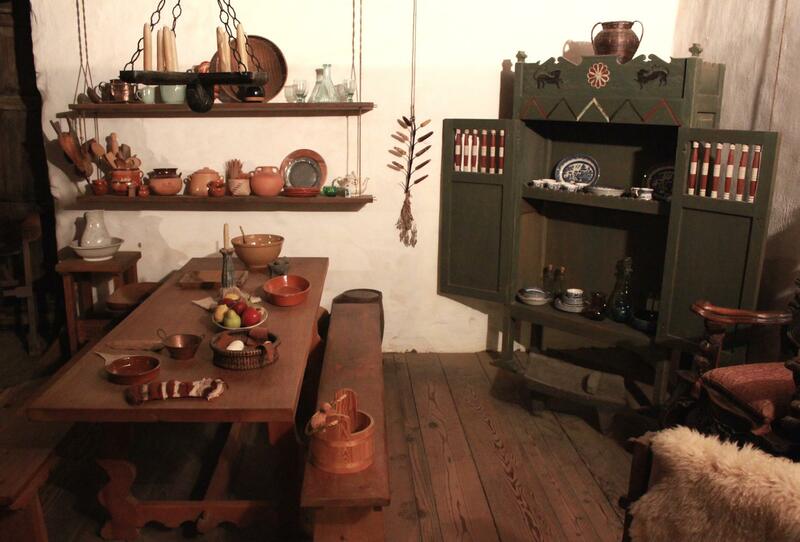 Peralta made a few changes to the Adobe during his tenure: he partitioned the house into two rooms, added a porch, as well as kitchen and chimney. 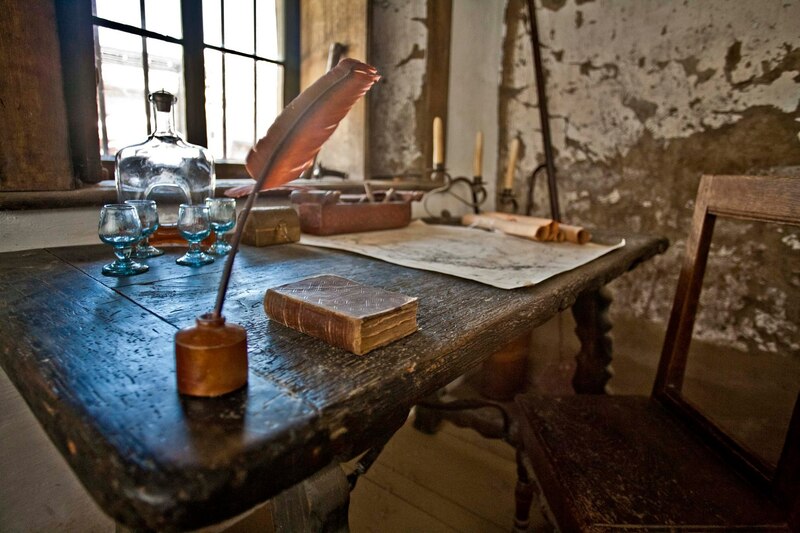 He planted his famous orchards of pears, peaches, apples, apricots and grapes to the west of the Adobe, where he and his wife spent most of his later life. 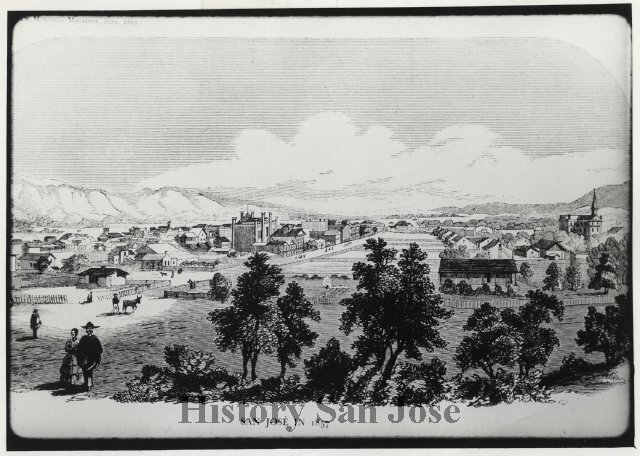 In 1820, Peralta finalized a land grant from the Spanish Governor of Mexico for the Rancho at San Antonio (modern-day Berkeley, Oakland and Emeryville). Peralta’s sons worked this land, while Peralta’s two unmarried daughters received the Adobe upon his death in August 1851. 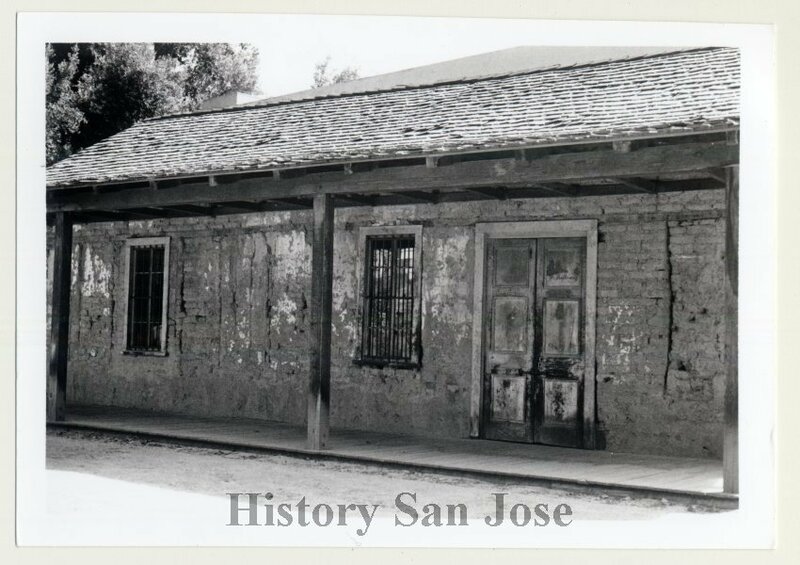 In 1853, daughter María Guadalupe built a significantly bigger and more modern wood-frame adobe to the south-east of the original Adobe, while sister María Josefa lived in her father’s adobe with her servant María Dolores. María Dolores inherited the Adobe upon María Josefa’s death in July 1862, then sold it to Peralta’s daughter-in-law Dolores Archuleta De Peralta in 1866. From Dolores Archuleta De Peralta it passed to Peralta’s grandson Balthazar Peralta, the last Peralta to own the Adobe. 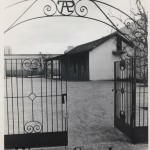 Zeffiro Bastiani and Giovanni Spinetti bought the Adobe from Balthazar Peralta in the 1870s, and used it primarily as a warehouse for their fruit and wine wholesale business. It was briefly used as a residence while Spinetti’s son and daughter-in-law built a wood-frame residence (no longer standing) in front of the property. 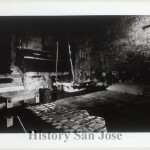 The Adobe continued to serve as a storage facility in the 1880s — Lorenzo Scatena widened the interior doorway to accommodate the casks of his L. Scatena and Company wine-making company. Guiseppe Bacchio used the Adobe as a warehouse for his plumbing business, during which time the Lusardi building was constructed on the adjoining lot. 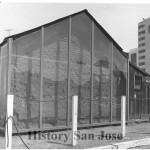 To accommodate the new building in 1949, seventeen inches of the north-west exterior corner of the Adobe were removed. 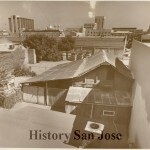 The Peralta Adobe was purchased by the City of San José in 1966. Immediately, restoration plans were made, and initial work began in 1973 by students and volunteers from De Anza College History Center. 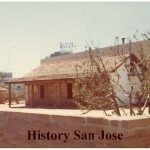 The Adobe was placed on the National Register of Historic places in 1974. 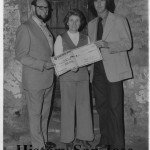 By 1975, city-wide fundraising efforts had raised enough to continue restoration. By January 1976 work was in full swing, including new landscaping and a Peralta-branded entrance gate on the north side. A photo taken on February 24th, 1977 shows the restoration work in its entirety (see below). The Peralta Adobe was later featured in 1977 on an official California stamp. 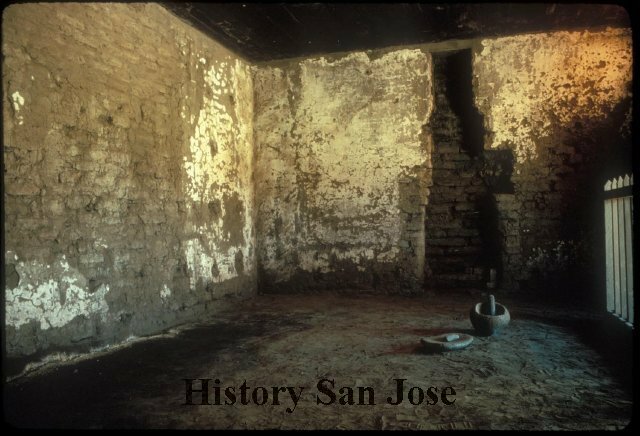 In 1987, the north interior room walls were repaired with soil plaster and whitewashed by Gil Sanchez, and the chimney — originally installed by Peralta — covered. 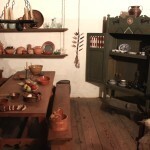 Replica furniture representative of the time period between 1807 and 1851 was constructed by James Zetterquist. 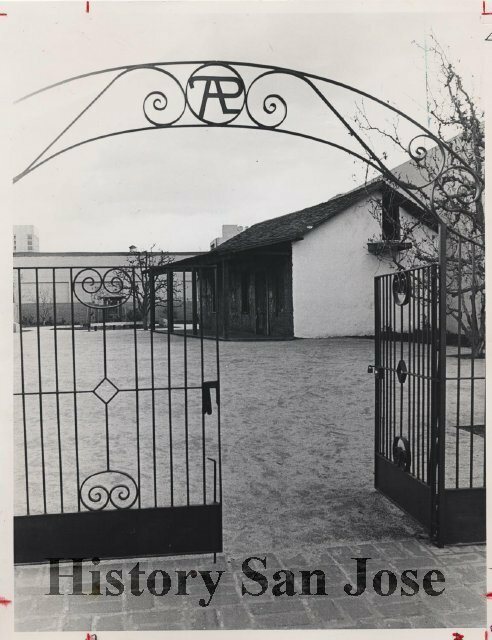 In the late 1980s, discussions began about restoration of the Thomas Fallon House across the street from the Adobe. During the 1990s, more work was planned to enhance the Adobe as a historical and public site, including an irrigation system, brick walls and paving, a new roof, and custom Douglas fir tree doors manufactured by Bridwell Windows and Doors of San Bruno. 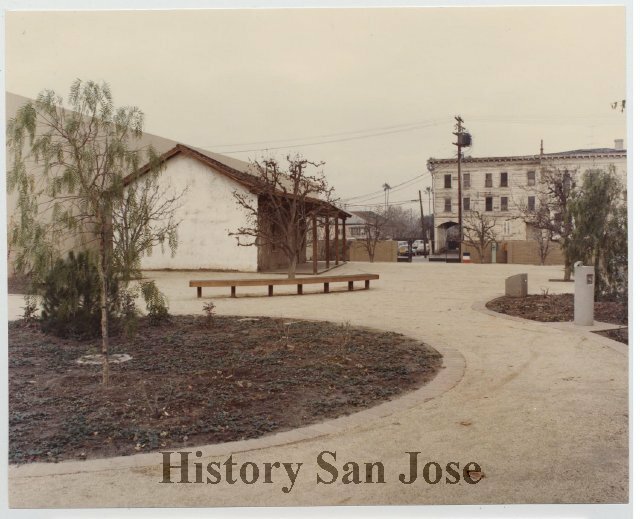 In November 1999, History San José, working with the National Park Service, dedicated the Adobe as the first official site of the Juan Bautista de Anza National Historic Trail. 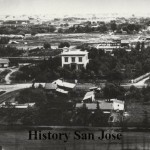 In 2002, plans were discussed for a History San José museum site near the Peralta Adobe — Fallon House Historic Site, but ultimately proved not feasible. 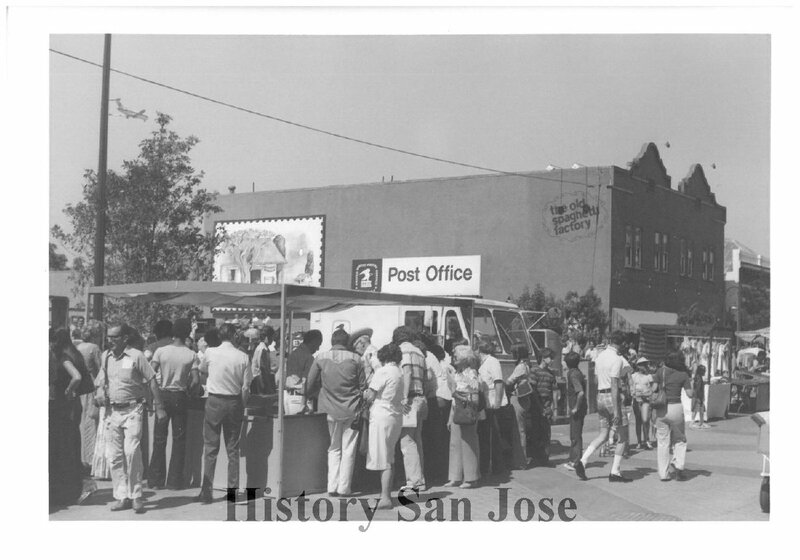 By 2008, the San Jose City Council was considering plans for an urban market in the same area. Former Mayor Tom McEnery and his company Urban Market LLC developed the San Pedro Square Market, which opened in 2011. 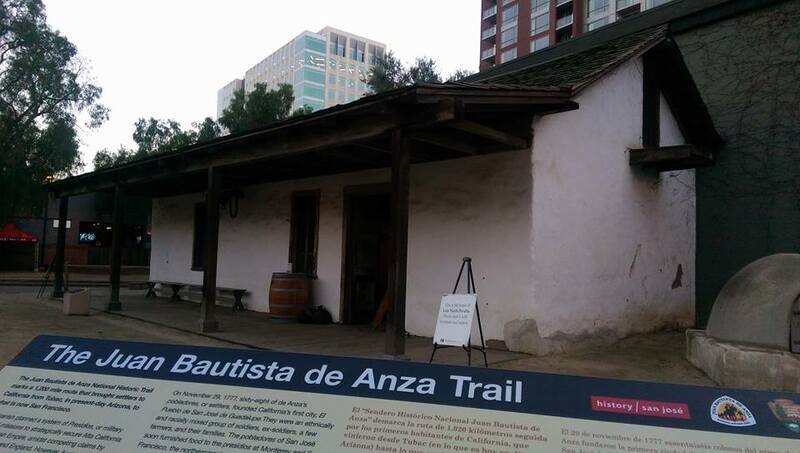 The Peralta Adobe, still in its original location, is central to the Market, now introducing hundreds of thousands to its history. 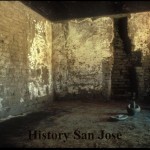 The Adobe is owned by the City of San Jose and managed under long-term contract by History San José. 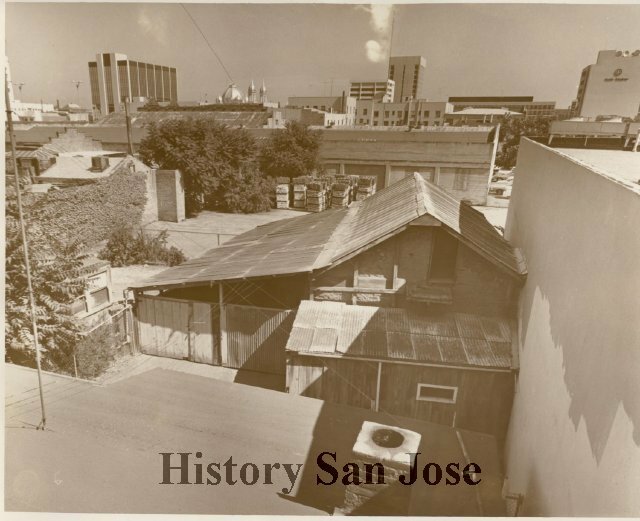 The site now hosts History San José’s popular Adobe Days school program serving more than 6,000 fourth grade students annually; and public events like November’s Happy Birthday San José, celebrating the founding of El Pueblo de San José de Guadalupe. 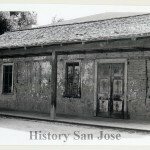 Be sure to check History San José’s events calendar for future events at the Peralta Adobe — Fallon House Historic Site. Authorization for the retirement of Sergeant Macario Castro. to be replaced by Sergeant Luis Peralta from the presidio of San Francisco (page 1), 1807. Authorization for the retirement of Sergeant Macario Castro. to be replaced by Sergeant Luis Peralta from the presidio of San Francisco (page 2), 1807. 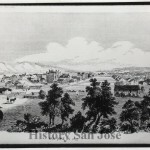 ‘An Artist’s rendition of San Jose in 1857’ shows the Peralta Adobe in the center of the photo. A newly added porch is visible from this sketch. 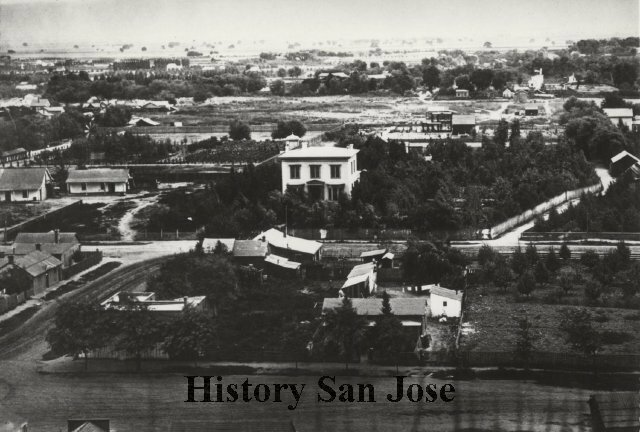 Looking west c. 1868, with the Fallon House in the center, and the Peralta Adobes in front. Both adobes have steps on the outside doing towards the attic; this feature as well as the bigger adobe no longer exist. 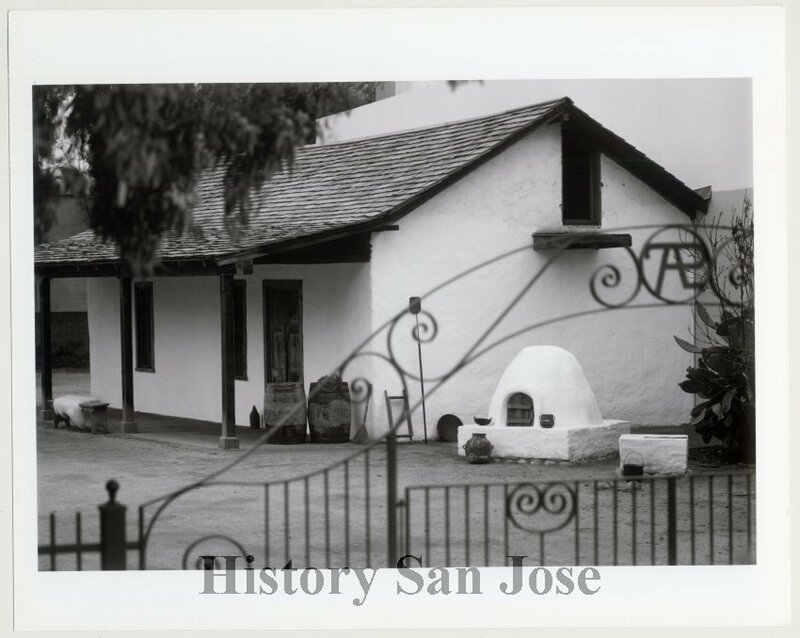 The Peralta Adobe c. 1950, after Lusardi building construction. 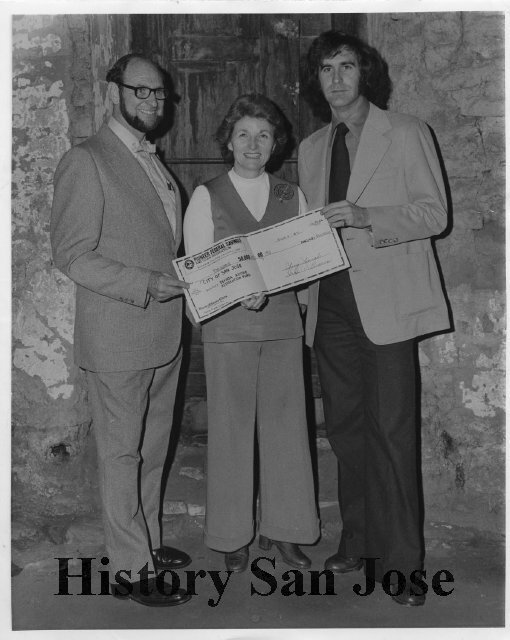 Leonard McKay (left) and Tom McEnery (right) present a check for $50,000 to Mayor Janet Gray Hayes to restore the Peralta Adobe, c. 1975. 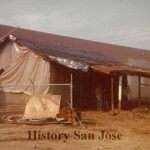 Peralta Adobe during restoration, c. 1976. 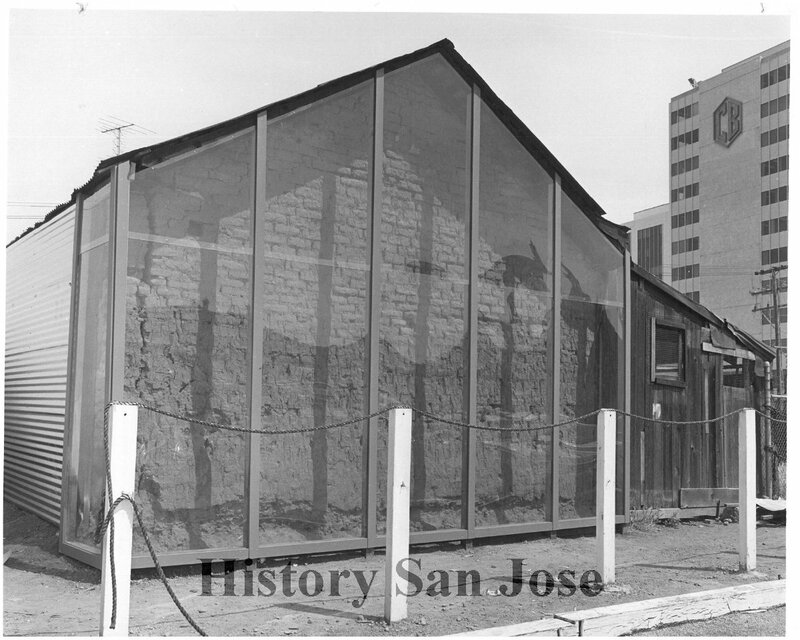 Restoration work on the Peralta Adobe, January 1976. 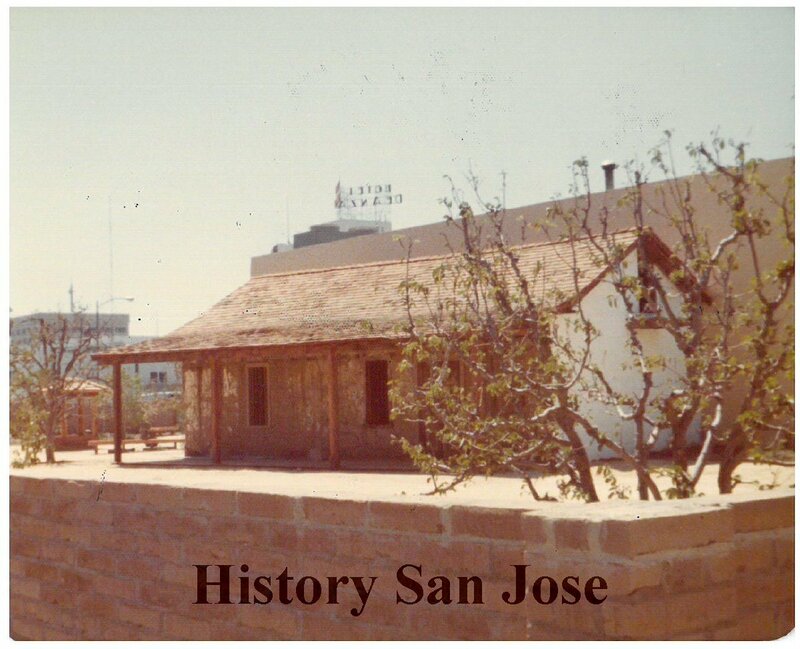 Restoration work on the Peralta Adobe in the mid-1970s. 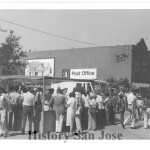 Crowds in San Jose for the dedication of the San Jose bicentennial stamp, featuring the Peralta Adobe, 1977. 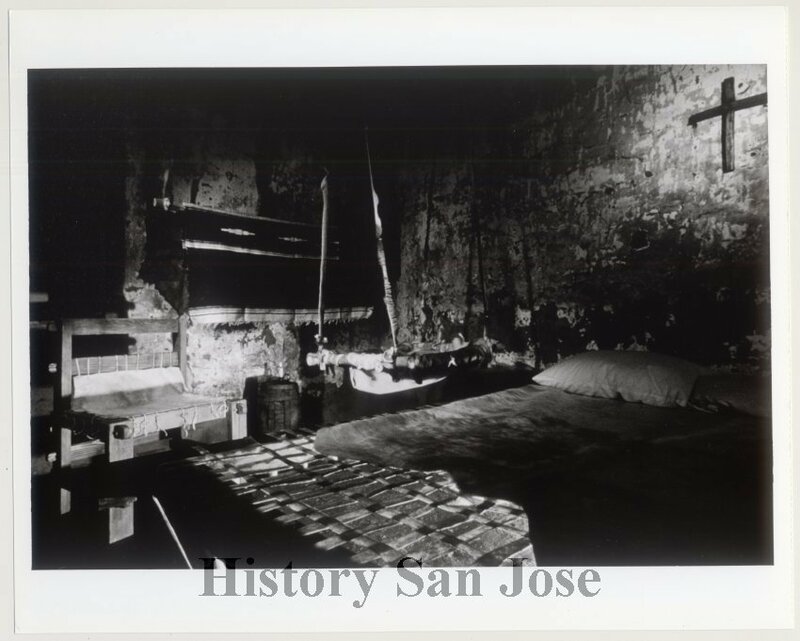 The Peralta Adobe after restoration, February 24, 1977. 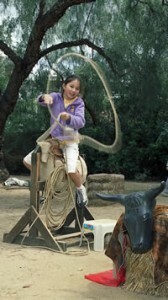 The gate incorporates the Peralta brand. Peralta Adobe interior, c. 1987. Peralta Adobe & Thomas Fallon House c. 1990, before Fallon House restoration. Peralta Adobe front exterior, May 1993. 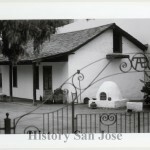 Peralta Adobe and horno, c. 1997. 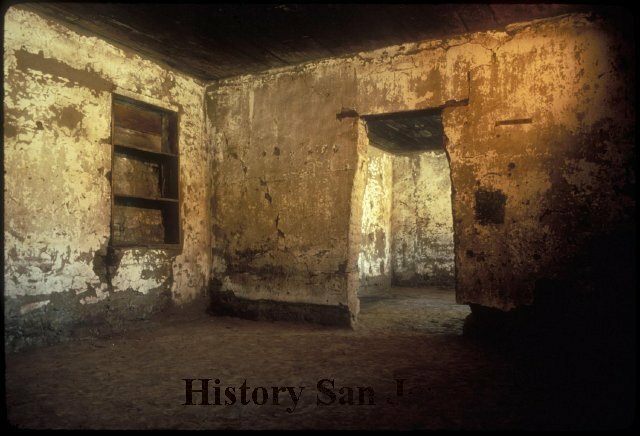 Interior of the Peralta Adobe with period furnishings, c. 1997.